Vintage Chrome Mirrors NA/NB at MossMiata! 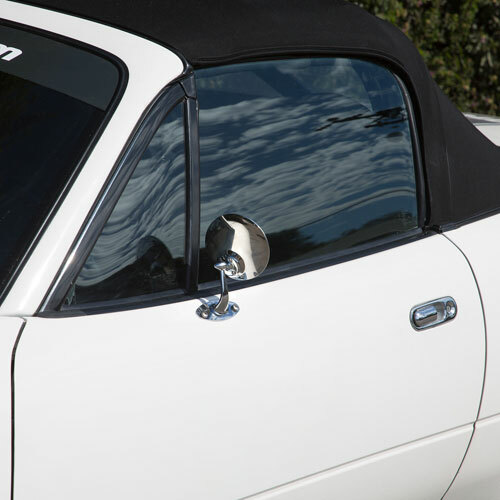 Add a stylish vintage look to your Miata with these chrome mirrors. 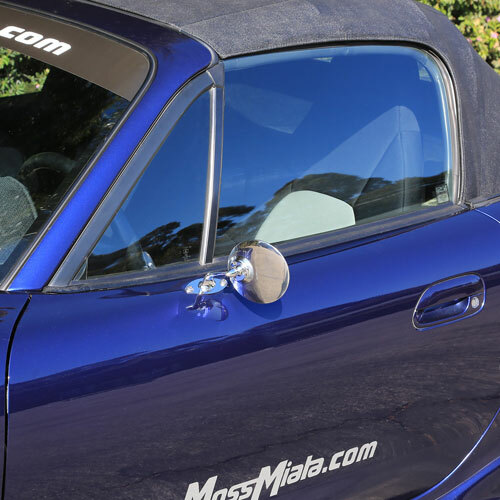 Our Miata parts team borrowed these mirrors from our British sports car parts division, swapped in convex mirrors for the modern car, and added NA- or NB-specific mounting plates that we designed and have made in the USA. The mirrors are reproductions of the Lucas style mirrors popular on British sports cars in the fifties and sixties, Moss has been producing them for a number of years meow and they are popular with our customers. Turns out they look stunning on Miatas, too. Will fit earlier cars if center mirror hole on door is widened. Sold as a pair. Instructions and everything you need to install these are included.